I feel like one thing the world needs more of, is dip. I LOVE dips!! They’re easy to shove into your face and dips are the easiest dish to bring to any get together!! 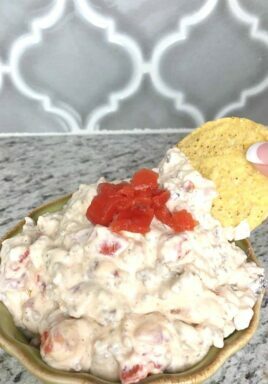 This Rotel Dip recipe is quite an ugly dip, I must say, but it’s so delicious!! It’s warm, creamy, and just all around scrumptious! The best part is, it’s super easy to make. You can make this in the Crockpot (I prefer this method because I’m lazy) or you can throw it into a pan on the stove and cook it that way! This dip may be ugly, but it always a hit! You must try it!! If you like dips, or super easy appetizer recipes, give this one a try! You won’t be disappointed! It’s super easy and I never have any left over! 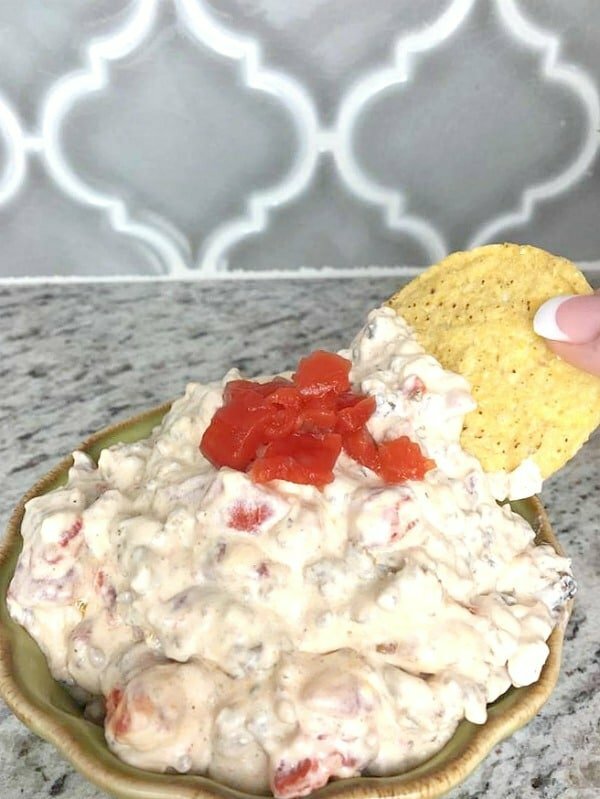 Cream Cheese Rotel Dip recipe! In the Crockpot or on the stovetop! This Rotel Dip recipe is so delicious!! 1 pound sausage cooked and crumbled, I use mild breakfast sausage but it would be great with spicy italian sausage! 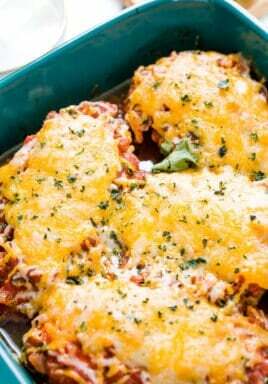 If making in Crockpot: combine all ingredients and cook on low 1-2 hours, or until cream cheese is melted and ingredients are combined. 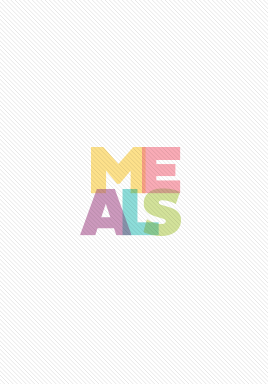 If making on the stovetop: add all ingredients over med-high heat and stir until melted and combined. Serve with corn chips or tortilla chips.